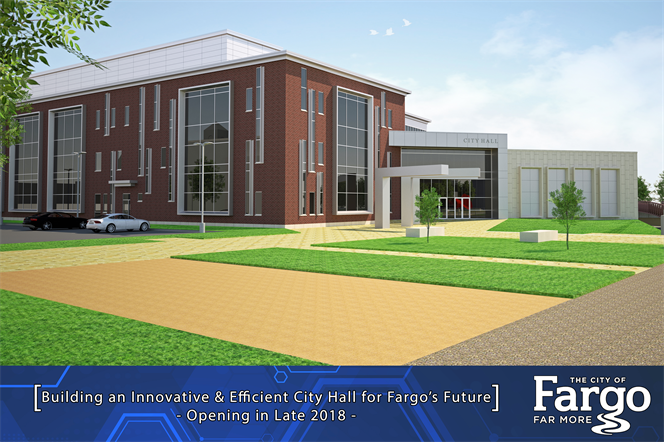 The new City Hall is completed and open to serve the residents of Fargo. 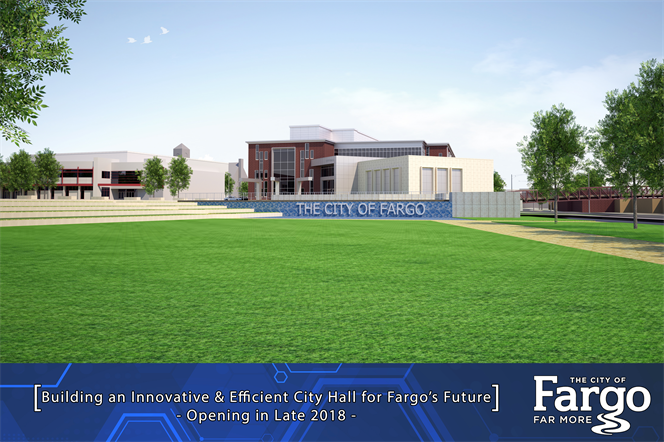 Construction began on the 150,000 square-foot structure in August 2016, with the completion in September 2018. 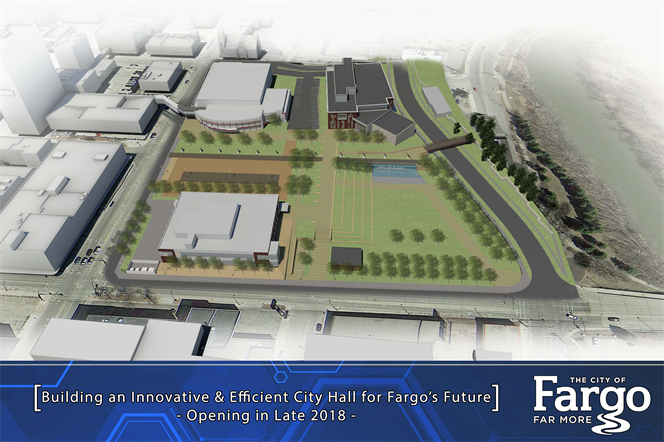 The structure is designed to house Fargo's municipal operations into the next century. 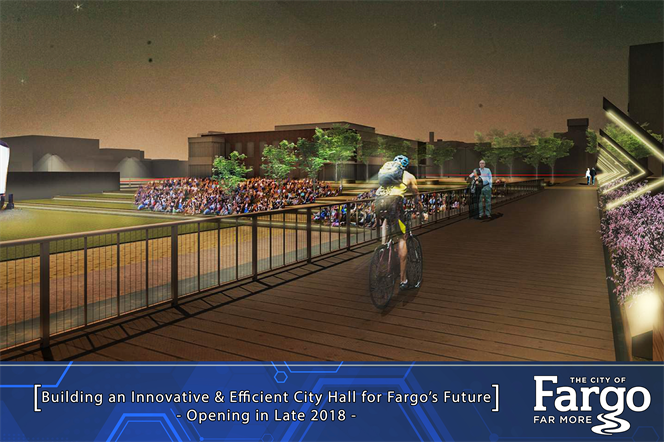 It will be a welcome addition to the downtown skyline, as well as to the greater community's character and appeal. The groundbreaking for the building took place on August 22, 2016. View the video from the event and view the image gallery of the Ground Breaking. 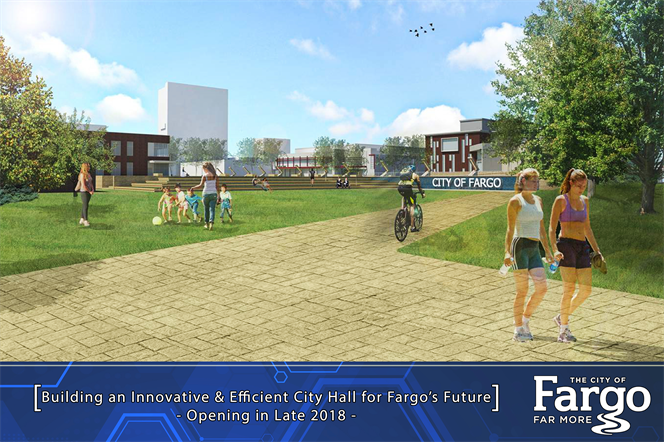 As the construction progressed, videos were posted on the bottom of the home page on the City's website and all available videos have been archived for viewing. 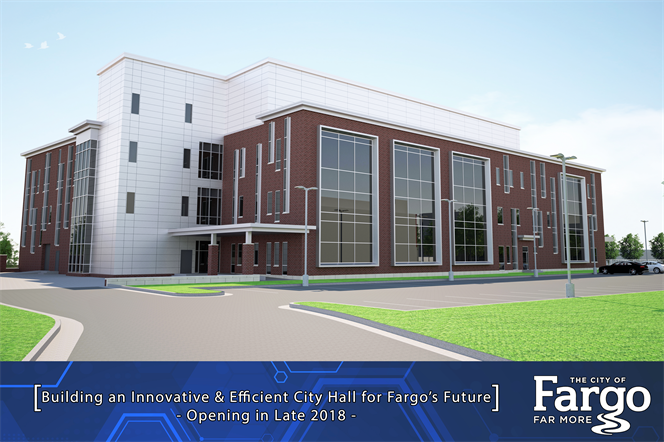 Take a Vitual Tour of the New Fargo City Hall. 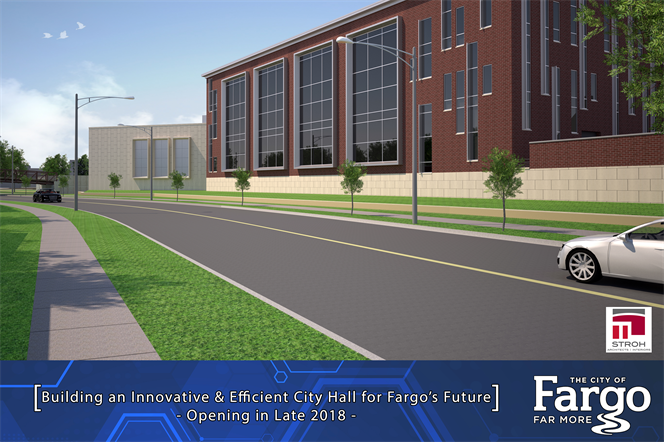 For more information about the project (including the facility's featured highlights and floor distributions), read the Fargo City Hall Groundbreaking Handout. 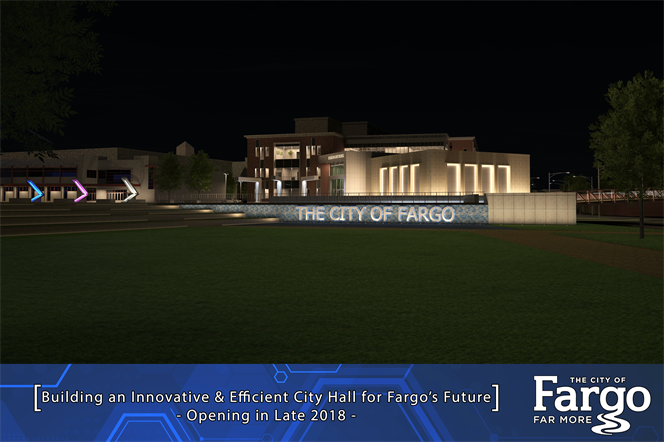 The ribbon cutting ceremony took place on September 17, 2018 and the new City Hall is open to the public. 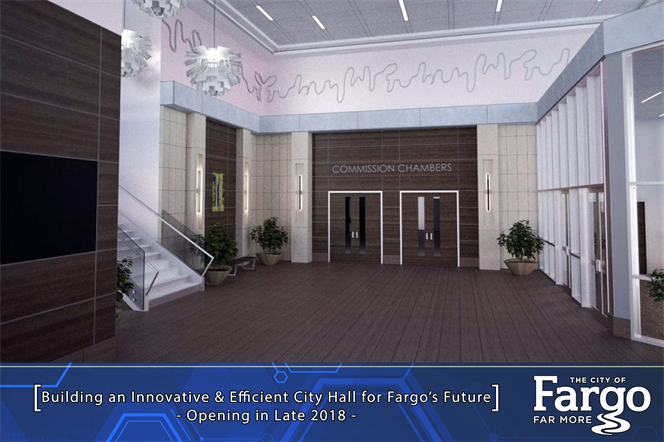 View the video from the event and view the image gallery of the Ribbon Cutting Ceremony.